Lambda is the most sophisticated AI program, able to learn and grow, or is she? Zack was the one who found Lambda, the first to imprint on her, but is this more than just coincidence? Zack decides to stand by Lambda, for reasons he at first doesn’t disclose, which leads to his life and that of his pop star sister being in danger. As Zack falls for Lambda, he is more and more reminded of someone from three years ago, someone who changed his life, someone whose past is connected to Zack in more ways than anyone seems to realize. In the fight for the Network’s continuation and the fight between those with access and those without, Zack and his family are caught in the middle of something greater than all of them, but they all seem to have a hand in it behind the others’ backs. And yet, it all goes back to a cruel abuse of power and the misuse of technology to hold back those who can’t keep up. A Great Divide. This novel has a long list of characters and introduces most of them from the beginning to slowly tie them together throughout continual action and excitement and reveal. The author excels at layering his plot and leaving breadcrumbs of backstory leading right up to the climax. It was difficult keeping up with the cast of characters until the latter half of the story. It was also difficult keeping track of allegiances and motivations and keeping them clear between the characters. The action scenes (which comprise a large portion of the novel) are engaging and exciting and frequented by fantastically large weaponry. For a novel based on Earth, with humans and human-like characters, the weapons technology is a deviation from the norm and keeps the book fresh and different. 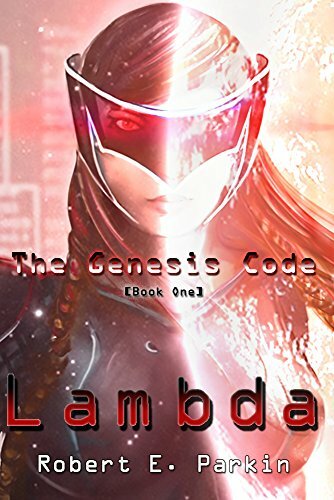 I started out liking the powerful AI Lambda, but when she was overcome little by little with human emotions and lost her power and her confidence I started to resent her. She devolved from a feared and beautiful AI to a distressed and distracted woman-like AI. However, Parkin does say that “she is a girl before she is a program.” (Location 5073). But I hoped she would remain like Zack’s initial perception, “A cyber maiden of death, clad in black. All he could think at that moment was just how alluring and terrifying she looked.” (Location 430-431). Some final thoughts I had upon finishing the novel were as to what the world outside the Limit Zones looked like. What do people eat? How is their Network technology possible? I was also a bit disappointed in the ending. It appears the novel ends in the middle of the climax and I prefer, even of the first book in a series, for it to be complete and with an end. Even with an overarching unresolved issue the smaller conflicts should be resolved. On an end note I adore the cover in its vibrancy. This novel was published by Robert E. Parkin September 29th, 2014 and is available on Amazon here.